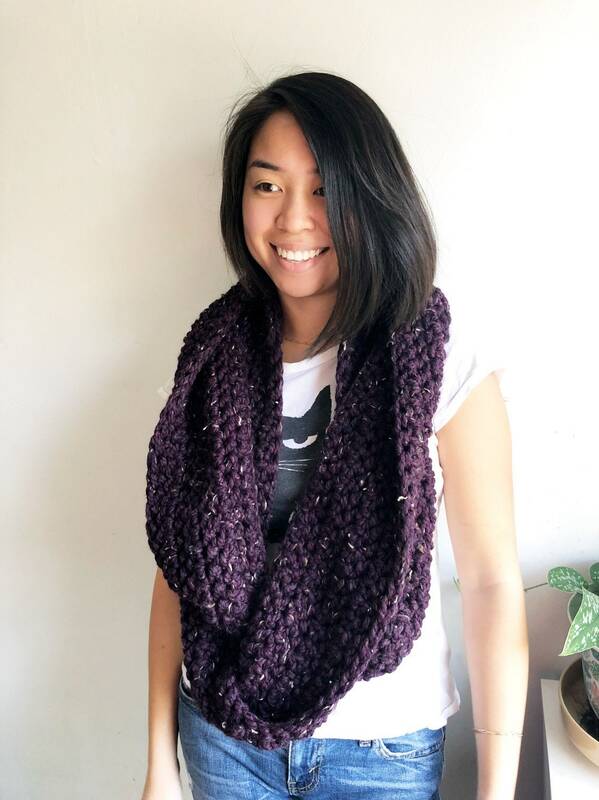 This is a long infinity scarf approximately 9.5’-10’ in circumference in a purple tweed color. The yarn is a wool blend and crocheted in a connected, circular scarf pattern. The model in these photos is 5’3” and has wrapped the scarf twice in a “doubles up” style.